Francis Quirk Master Painter Blog: Francis Quirk connected with Colleen Moore Movie Star! 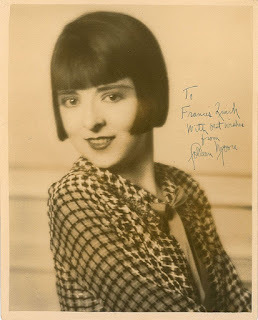 Francis Quirk connected with Colleen Moore Movie Star! In our quest for all things Quirk we found an image of an autographed photo of Colleen Moore. It is inscribed to Francis Quirk who would have been in his 20's when she was at the peek of her fame. How they met or this came to be, we do not know. Colleen Moore was a very well known and well paid actress in the early days of Hollywood Movies. She is known as the originator of the Bob Haircut that characterized the flapper movement. She developed the haircut for a film role in which she was playing a rather unrestrained character. That haircut would be her trademark for the rest of her life. When the fad ended, the Bob Haircut did not permanently disappear. 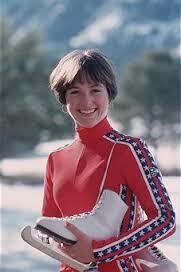 A version of the Bob Haircut would later be popularized in the 1970's by Olympic figure skater Dorothy Hamill. Shifting back to Ms. Moore, her fame in her time should not be underestimated. She was a film star. Below is just a small selection of movie posters from her oeuvre. 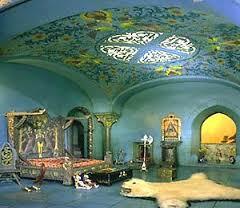 Colleen Moore also was known for her love of dollhouses and visitors to Chicago's Museum of Science and Industry can see the house she donated on exhibit. It is amazing. One of the best bios of Moore we found was associated with a screening of one of her films at the Park Ridge Classic Film. You can read that bio here.